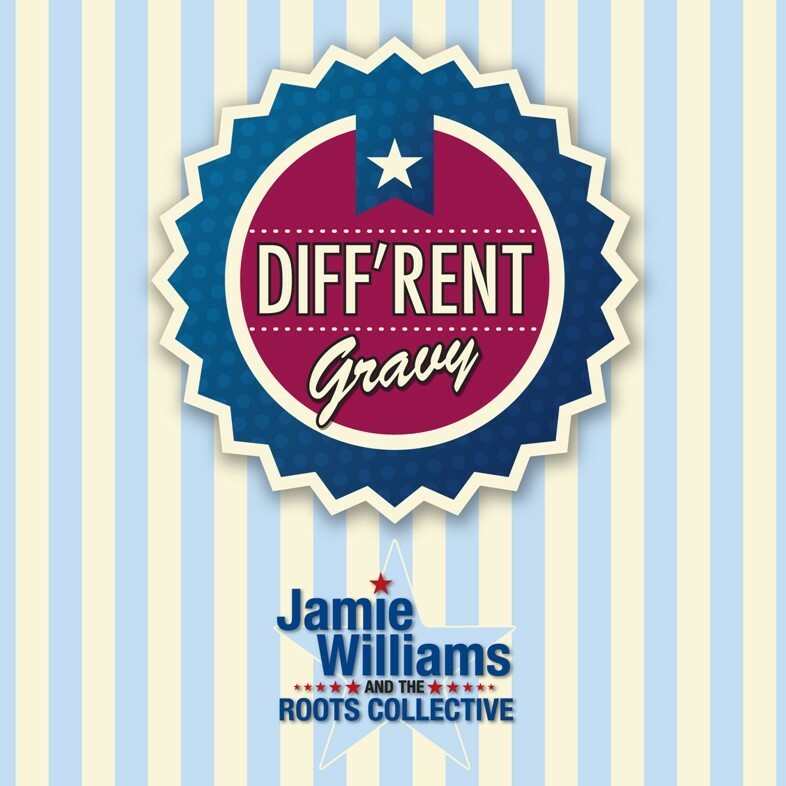 'Diff'rent Gravy' is the fifth album from Jamie Williams & The Roots Collective, but it's the first one that I've come into contact with. The reason for the word "collective" in the title is the band don't attempt to fit into any one genre, happy to embrace whatever comes along, be it with the shuffling feel of 'Little Black Book', the Americana-tinged Rock of 'I Don't Wanna Break My Baby's Heart', the dreamy acoustic vibe of 'Godsend' or The Rolling Stones-like 'Baddass And Lazy'. For some acts, this could result in a very disjointed record, but the Roots Collective knit it all together very well. However, the thing that stopped me from connecting with the record was the lead vocals. Williams' voice has a nasally tone which means for every song he delivers well, like the chilled out 'Saved', there's another one which grated on me, like the whining 'One Man Mission To Mars' which put me in mind of Bob Dylan. I hope Williams takes that as a compliment, but to me, while Dylan has written some amazing songs, I can only listen to them when somebody else is singing them. That's pretty much how I feel about this record. The 12-bar Blues of 'Lonesome Howl From The Heart' is very well written and played, but vocally I just don't get on with it at all. The same applies to album closer 'Understand' with its echo-drenched guitar and lead vocal being the main point of focus. 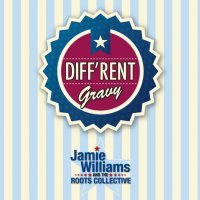 As a result, it may well be a 'Diff'rent Gravy', but I didn't find it to be to my taste.